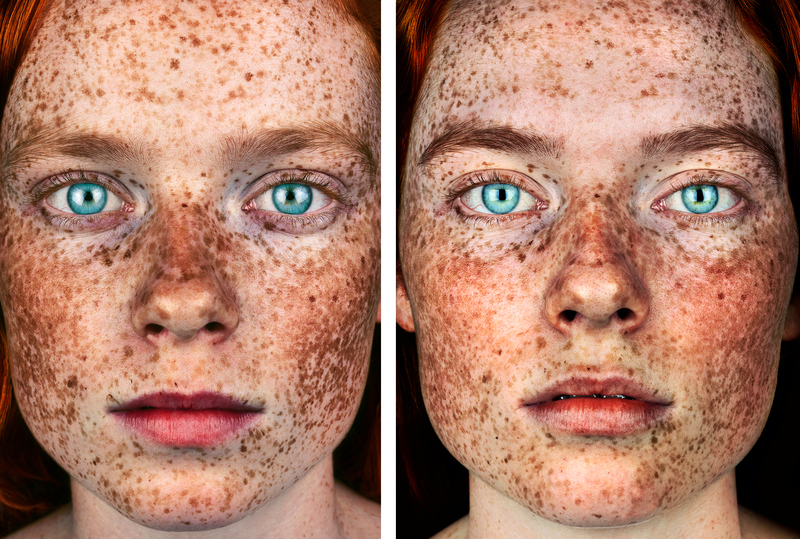 In March of 2016, at the age of 12, Daisy Trinder applied to British photographer Brock Elbank’s Freckles series hoping to make the cut. Not only was she perfect for the project, but she later became the face for the series. Two years later, Brock and Daisy meet again to create a stunning follow-up portrait of the now 14-year-old Australian girl. The two met again for the first time in mid-May 2018 in Kristianstad, Sweden at the opening weekend of the Freckles series’ premiere at the Regional Museum of Kristianstad (Regionmuseet Kristianstad). 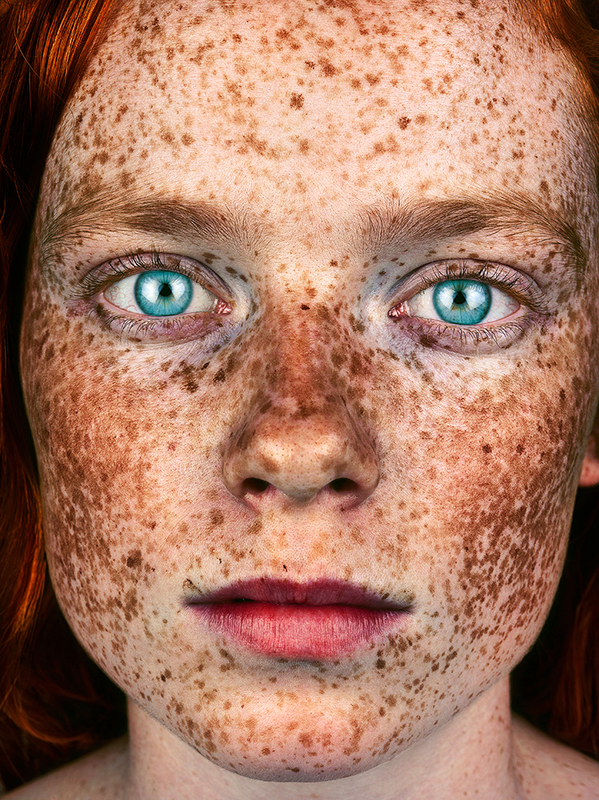 Reuniting at the exhibition of Freckles, Brock decided to shoot a follow-up portrait with the Hasselblad H6D-100c and recreate the original photograph, which was shot on the Hasselblad H4D-60. “It was interesting trying to replicate the portrait now when she’s almost 15 years old; trying to get her head in almost the same position was quite challenging. She’s more angular in the new picture. A little bit sharper, more mature features, and about 30 cm taller than she was before,” comments Brock. 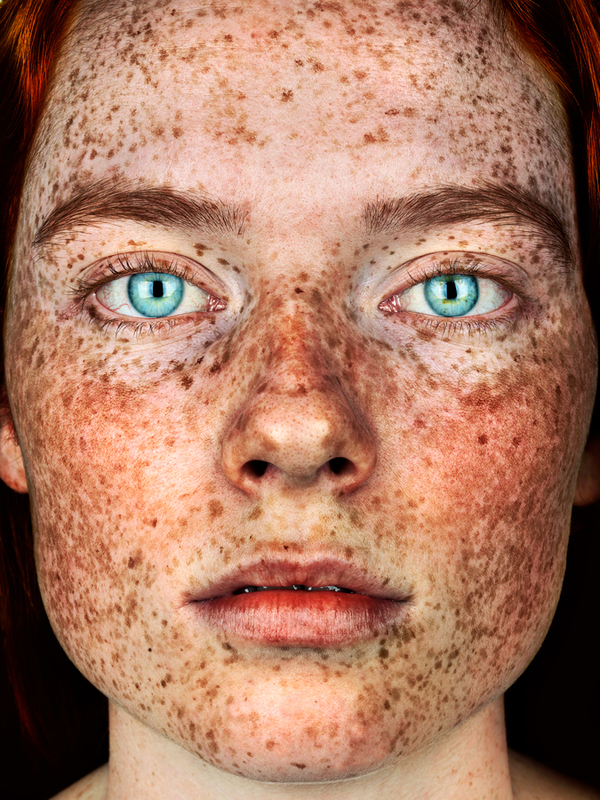 On top of that, photographing the original portrait early March in 2016 at the end of the Australian summer, Daisy’s freckles were much denser versus shooting the new portrait now in mid-May.